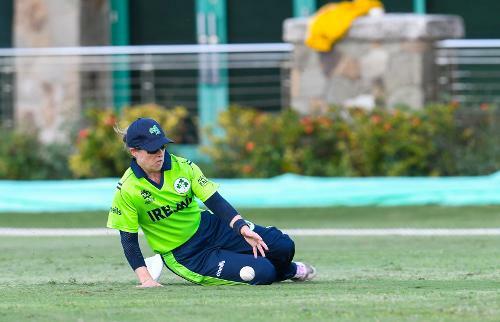 Cecelia Joyce of Ireland fielding during a warm-up match at Coolidge Cricket Ground on November 7, 2018 in Coolidge, Antigua and Barbuda. 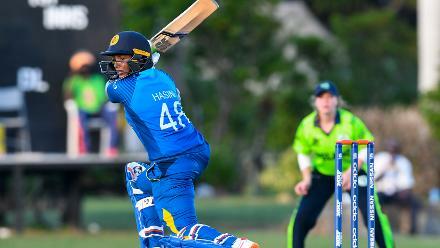 Chamari Athapaththu (R) of Sri Lanka hits 4 as Mary Waldron (L) Ireland watch during a warm-up match at Coolidge Cricket Ground on November 7, 2018 in Coolidge, Antigua and Barbuda. 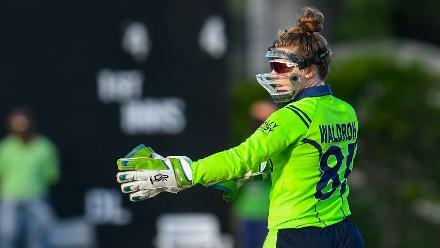 Mary Waldron of Ireland sets the field during a warm-up match at Coolidge Cricket Ground on November 7, 2018 in Coolidge, Antigua and Barbuda. Hasini Perera of Sri Lanka hits 4 during a warm-up match at Coolidge Cricket Ground on November 7, 2018 in Coolidge, Antigua and Barbuda. 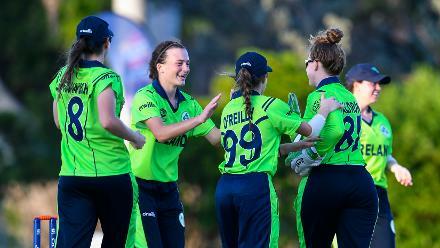 Lara Maritz (2L) of Ireland celebrates during a warm-up match at Coolidge Cricket Ground on November 7, 2018 in Coolidge, Antigua and Barbuda. 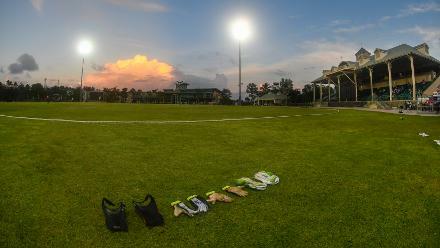 Nilakshi de Silva of Sri Lanka walks off the field during a warm-up match at Coolidge Cricket Ground on November 7, 2018 in Coolidge, Antigua and Barbuda. 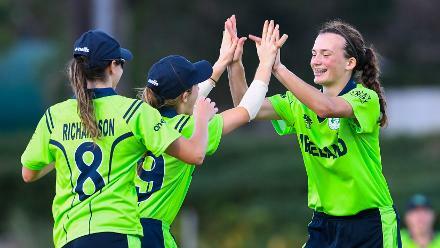 Lara Maritz of (R) Ireland celebrates during a warm-up match at Coolidge Cricket Ground on November 7, 2018 in Coolidge, Antigua and Barbuda. Kavisha Dilhari of Sri Lanka bowled during a warm-up match at Coolidge Cricket Ground on November 7, 2018 in Coolidge, Antigua and Barbuda. 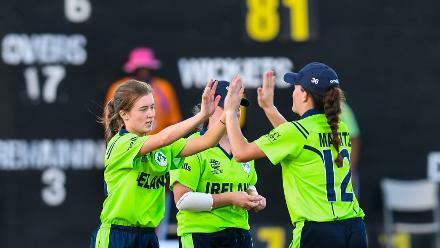 Celeste Raack (L) of Ireland celebrates during a warm-up match at Coolidge Cricket Ground on November 7, 2018 in Coolidge, Antigua and Barbuda. 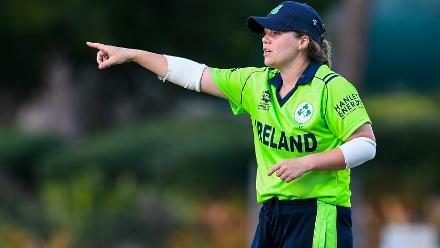 Laura Delany of Ireland sets the field during a warm-up match at Coolidge Cricket Ground on November 7, 2018 in Coolidge, Antigua and Barbuda. 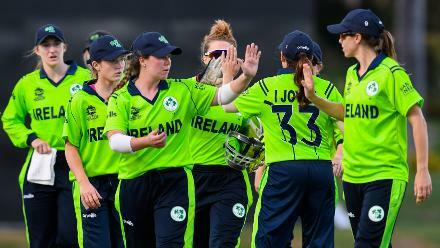 Laura Delany (C) of Ireland leads teammates off the field during a warm-up match at Coolidge Cricket Ground on November 7, 2018 in Coolidge, Antigua and Barbuda. 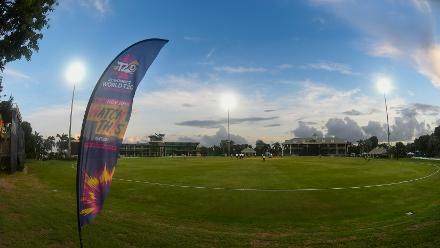 Coolidge Cricket Ground during the ICC Women's World T20 2018 warm-up match between Ireland and Sri Lanka on November 7, 2018 in Coolidge, Antigua and Barbuda. 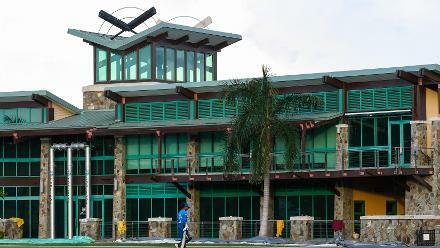 Udeshika Prabodani of Sri Lanka drops a catch during a warm-up match at Coolidge Cricket Ground on November 7, 2018 in Coolidge, Antigua and Barbuda. 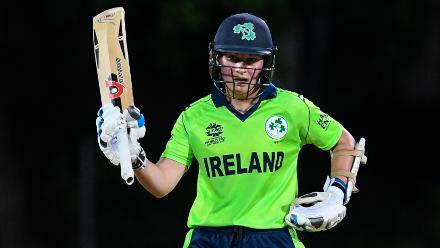 Clare Shillington of Ireland celebrates her half century during a warm-up match at Coolidge Cricket Ground on November 7, 2018 in Coolidge, Antigua and Barbuda. 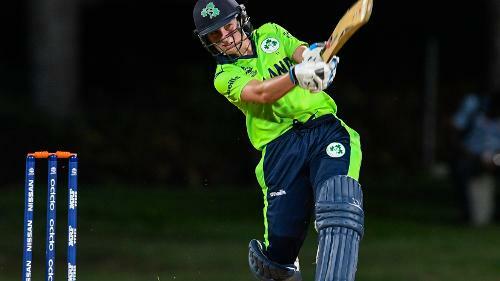 Clare Shillington of Ireland hits 6 during a warm-up match at Coolidge Cricket Ground on November 7, 2018 in Coolidge, Antigua and Barbuda. 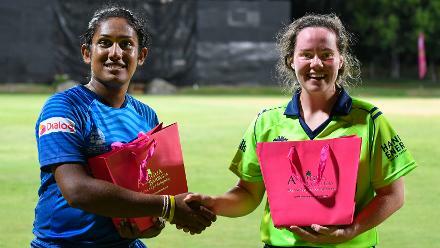 Chamari Athapaththu (L) of Sri Lanka and Laura Delany (R) of Ireland with a gift from the Antigua Tourism Board during a warm-up match at Coolidge Cricket Ground on November 7, 2018 in Coolidge, Antigua and Barbuda. 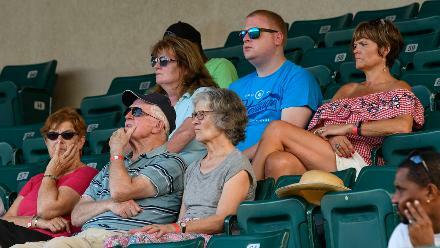 Crowd during the ICC Women's World T20 2018 warm-up match between Ireland and Sri Lanka on November 7, 2018 in Coolidge, Antigua and Barbuda.